Hello To All From Holland! 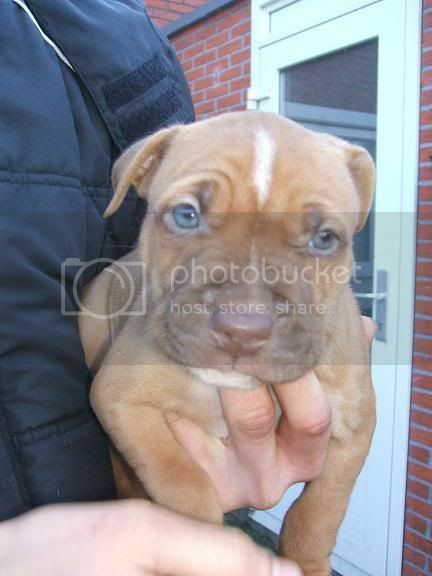 i am Rob and i am living in Holland, me and my family are big Pitbull & Boxer fans. 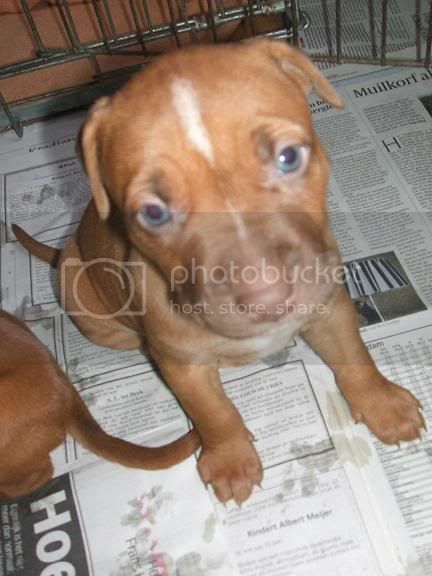 I had in the past 3 Boxers and 1 Red Rednose Pitbull, on this moment i have 1 Pitbull X Boxer Cross of 2 years (Male) and just 6 days an Red Rednose Pitbull pup (Female) of 6 weeks old. For the last 15 years the Pitbull was forbidden in Holland, just some months ago whe can have Pitbulls again, so i took my chance right away! Greetings, Rob and the Dogs; Chilly and Demi. Can't wait to watch Demi grow up. Post lots of pics, OK? welcome to PBF, glad for you to join us here. welcome .... nice pup ! can you tell me how much he weights plz ? Cute pup! I just got one about 2 weeks ago. I love him! Best dog i've had so far and he's not even grown up yet! Glad that the laws were changed. As 6 weeks is really young to be leaving the litter, because of the social skills they learn from mom and littermates, you may want to read the sticky "Got a Mouthy Pup?" in the training forum.